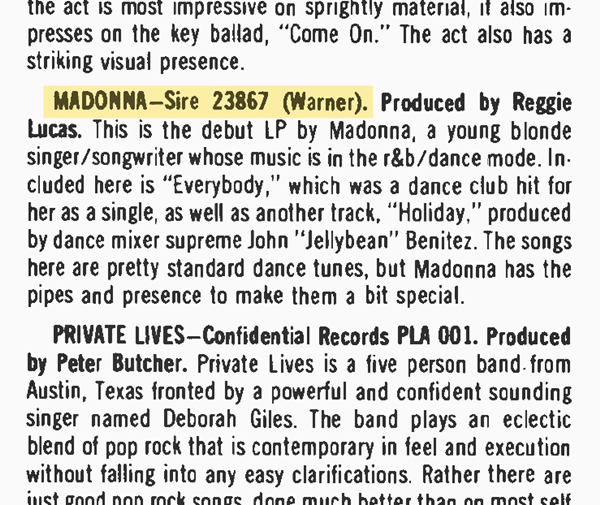 On August 27 1983, Madonna’s debut album was reviewed in Billboard magazine. 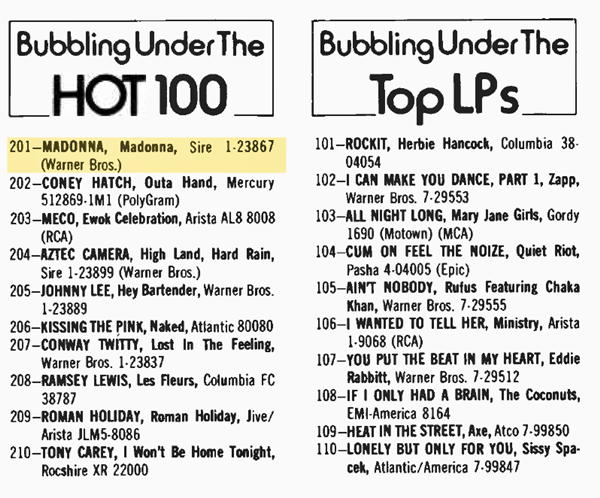 In the same issue, the album made its chart debut at #201 on the Bubbling Under LP chart. With Burning Up, Madonna came on strong as an all-out unrepentant rock & roller flashing her Jackson Charvel Flying V guitar-a nightly highlight of Rebel Heart Tour, Madonna had the time of her life at Wizard Capital One Arena on 9-12-15-I loved her performance that night!